Gregor Pryor is Global Entertainment and Media Industry Group Co-Chair for Reed Smith. A number of performers and artists have raised concerns about their signature dance moves being used in Epic Games' Fortnite as 'emotes' -- emotes being actions, flourishes and dances that a character can perform in the game, ranging from a round of applause to short choreographed routines. 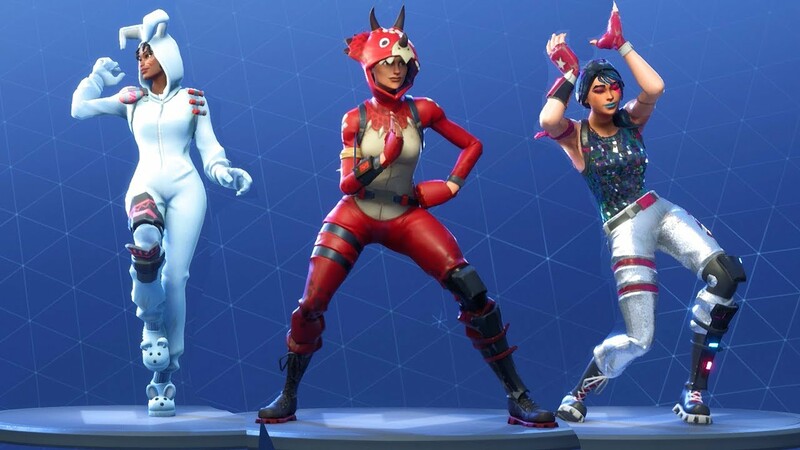 Rapper 2 Milly has said he is considering legal action against Epic over the game's Swipe It emote, which appears to replicate the artist's dance, the Milly Rock. Similarly, there are emotes that resemble Snoop Dogg's Drop It Like It's Hot dance, Psy's Gangnam Style, and even Donald Faison's Poison dance from the US sitcom Scrubs. Whether these emotes are an homage or infringement depends on whether the dance moves that they imitate are protected by copyright. "Whether or not these dances attract copyright protection would appear to turn on whether these short routines or movements are sufficiently original"
In the UK, original dramatic works (including works of dance or mime) are protected under English Copyright Law. In a case concerning advertising from 2000, the Court of Appeal said that the expression "dramatic work" should be given its natural meaning: an "action, with or without words or music which is capable of performance." It seems clear that dances like 2 Milly's Milly Rock, Snoop Dogg's Drop It Like It's Hot and Psy's Gangnam Style are actions capable of performance. The artists have performed them in their own videos and Fortnite characters are now performing them as emotes in the game. The question of whether or not these dances attract copyright protection would appear to turn on whether these short routines or movements are sufficiently original. Originality under English copyright law means that the author must have created the work through his own skill, judgement, individual effort and that it is not copied from other works. The bar here is rather low. Works such as calendars, coupons and competition cards have been deemed the product of sufficient skill. Thus far, there haven't been any high-profile allegations that the Milly Rock is itself copied from another artist's work, but if 2 Milly litigates against Epic, such counter accusations might come to the fore. Alternatively, it might be argued that the Milly Rock is an established dance move drawn from a wider genre of hip-hop dancing. "If Fortnite were to copy the entire video for Drop It Like It's Hot, there is no doubt that this would infringe copyright"
It might also be said that the dance sequences in question are too short to be original. However, a case before the European Court of Justice held that the storing and printing of 11-word extracts from newspaper articles amounted to reproduction of a copyright work. Drawing an analogy, then, the short length of the dance routines may not be a bar to their protection by copyright. In another relevant case concerning photographs, the European Court of Justice held that an intellectual creation is the author's own "...if it reflects the author's personality... if the author was able to express his creative abilities in the production of the work by making free and creative choices." Each of the artists alleging that Fortnite's emotes have copied their signature dance moves would no doubt argue that the dances they have created reflect their personality. Indeed, it is for this reason that they are recognizable in the game. While perhaps there is some uncertainty about copyright subsisting in the single dance move, there is no doubt that it subsists in the artist's video taken as a whole. English copyright law provides that an act is restricted if it is done in relation to the work as a whole or any substantial part of it. If Fortnite were to copy the entire video for Drop It Like It's Hot, there is no doubt that this would infringe copyright. If the game copies only one element of the video, the dance move, is this a "substantial part" of the work? Whether or not the part of the work that is copied represents a substantial part depends not just on the amount copied, but on its substantial significance or importance in relation to the work as a whole. Therefore, in the case of a dance taken from a music video where the dance is the pivotal part of the music video, one could argue that the dance is of substantial significance and thus a substantial part of the protected whole. The overriding question in deducing whether the defendant has copied a substantial part of the copyright material is whether in creating their work they made substantial use of the skill and labour that went into the creation of the claimant's work. This brings us back to the question of whether the dance moves are original. Although the answer to this question must vary from dance to dance, if a dance move is so recognizable that even when performed by an avatar in a game it can instantly be distinguished from all other dance moves and attributed to an individual artist, it must have some quality of originality. The US Copyright Office has issued some instructive guidance. In a circular published in 2017 they said that "short dance routines consisting of only a few movements or steps" cannot be registered, "even if a routine is novel or distinctive." They specify that "social dance steps and simple routines" will not be protected by copyright "even if they contain a substantial amount of creative expression." While the US position is more clear-cut, whether Fortnite's emotes are an homage or infringement will remain uncertain until tested in court. "Dance emotes are a popular aspect of Fortnite, often imitated in the real world"